One of the best things about owning property in the Finger Lakes is…well, owning property that sits right on or near the beautiful lakefront. 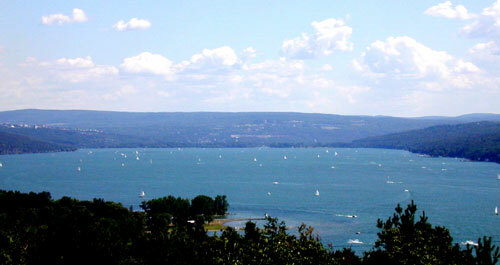 In the Ithaca area everyone knows that Cayuga Lake homes are highly desirable, especially during the warm summer months. When you are lucky enough to own a piece of this prime real estate it is a lot like winning the property lottery. The payoff is being extremely close to one of the most gorgeous views created by nature. Whether you live in your Cayuga lakefront home full-time, or stay there during the languid summer months, you have a stake in keeping your home safe. In addition to enjoying an awesome view, there are all of the furnishings and valuables inside the home that enhance this luxurious lifestyle. While it would be nice if you could just kick back and enjoy this good fortune without worry, the sad fact is that your home is a prime target for burglary and vandalism. Is Your Lake Home Really Secure? Ithaca is such a laid back town that it is easy to forget that occasionally unpleasant things happen, even in this idyllic setting. The truth is that thieves are here too. And, they are always looking for ways to take advantage of unsuspecting homeowners that own property near Cayuga Lake. Thieves know that you are more likely to have a lot of valuable items in this type of home. So, they are sure to target your neighborhood while looking for the perfect burglary opportunity. Do you have good security protecting your valuables? Is your home completely secure? If not, our security experts at Teledair are available to provide all the protection you need. We are a top-rate home security Ithaca company with a solid reputation. Summer will be here before you know it. Along with the balmy weather and picturesque scenery will be a group of opportunistic people that are interested in helping themselves to your valuables. If you think a few locks will stop them – think again. Area thieves love the summer season because homeowners are more likely to let down their guard. While you are out boating, picnicking, attending an event or otherwise preoccupied, they stealthily creep onto your property, break the locks and quickly get to work robbing your home. Maybe you think it will never happen to you. We are here to tell you that it most certainly can. When it does, it is an eye-opening and absolutely devastating experience. Hopefully, you will never have to experience having your home invaded by thieving strangers. Teledair specializes in installing sophisticated home alarm systems Ithaca. 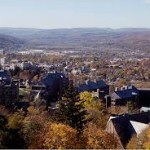 In fact, we have helped local homes and businesses in the Ithaca area with their security. Maguire Auto Dealership came to us when they needed a better security camera system, which we happily installed for them. If you are interested in the latest home burglary systems Ithaca, contact our Teledair security experts for a complimentary home security evaluation.